Swing Break is kind of a spring break, BUT for SWING dancers only. Fun at the Adriatic sea with friends and a lot of Lindy Hop. We strive to create our special Lindy Hop time-bubbles on all our events, where all the nice and warm non-written rules of Lindy Hop community apply. This is one of such events. If you are a Lindy Hopper, baby, this is just for you. 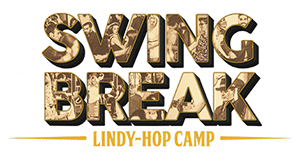 Swing Break, 5th edition, will take place from 9th to 13th of May 2019 Place: City of UMAG – Croatia.